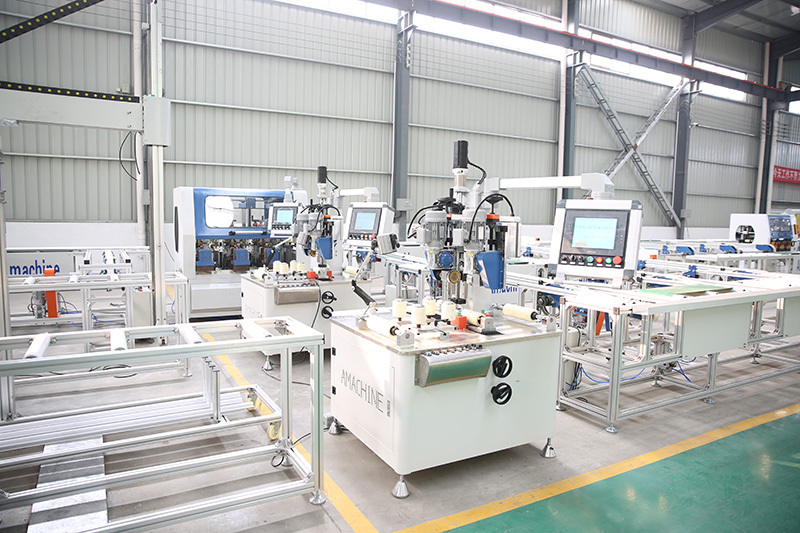 THE CNC Automatic Production Line Includes TWO CNC Knurling Machines, ONE CNC profile Rolling Assemble Machine and three sets of Conveyor System. The modular conveyor system permits a standard production, Can realize the Automatic Feed, Automatic Conveyor, Automatic Unloading. High processing efficiency and Less labor. 1. CNC series of thermal break machine are equipped with human-computer interface with LED touching display screen. 2. The software developed by ourselves makes it possible to store data of all types of aluminum profiles for future use.